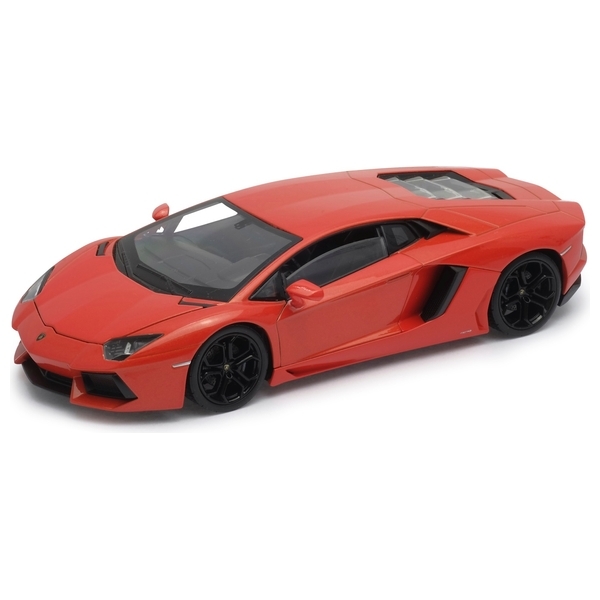 This is a 1:24 scale die cast of the Lamborghini Aventador LP700-4. The free wheel die cast car looks very realistic and also has an open door function and an open bonnet function. A great collector's item for car enthusiasts of all ages!